The Trilinos Capability Area homepage organizes Trilinos capabilities into nine collections of functionality and describes which packages are relevant to each area. This discussion is especially useful for new Trilinos users. The primary Trilinos repository is now hosted on GitHub. This allows users and potential developers greater access to Trilinos source code. The 2018 Trilinos User Group Meeting (TUG) is held in October in Albuquerque. Trilinos 12.12 is now available for download. The 12.12 release uses a CMake build system, which requires CMake version 2.8.11 or greater. Instructions for building Trilinos 10.0 and later are available here. Each Trilinos package is a self-contained, independent piece of software with its own set of requirements, its own development team and group of users. Because of this, Trilinos itself is designed to respect the autonomy of packages. 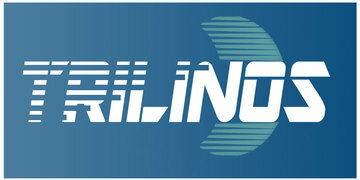 Trilinos offers a variety of ways for a particular package to interact with other Trilinos packages. It also offers a set of tools that can assist package developers with builds across multiple platforms, generating documentation and regression testing across a set of target platforms. At the same time, what a package must do to be called a Trilinos package is minimal, and varies with each package. ©2019 Trilinos Organization. All rights reserved.